Home » General Interest » How is it that a Yacht Can Travel Faster than the Wind ? There is something undeniably odd about a yacht doing 25 knots while sailing into a 15 knot wind. 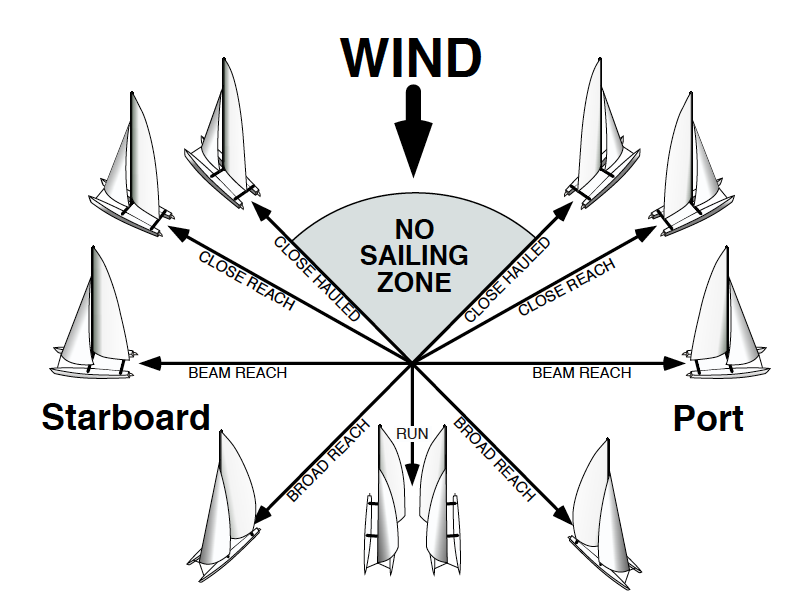 When thinking about this it helps to think about the relative speed of the boat and the breeze. 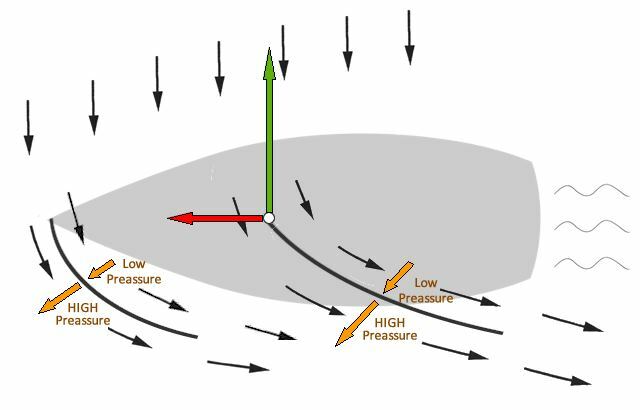 Clearly, a yacht with the wind directly behind it and no current cannot travel faster than the wind: if it did, its sails would outpace the very thing which is supposedly pushing it forward. The secret to travelling faster than the wind lies in orienting the yacht so that its sails are set obliquely to an oncoming breeze. By travelling “close to the wind”, the yacht’s sail deflects the wind as it passes by. 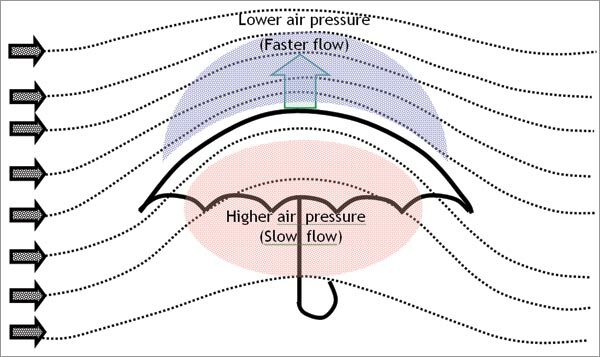 This results in areas of low & higher pressure. By Newton’s laws, the resulting change in direction of the moving mass of air generates a force on the yacht, which responds by accelerating. This continues until the force propelling the yacht matches the drag forces slowing it down, at which point it settles down to a “terminal speed”, which, for some high-performance catamarans, can be double the wind speed. If you’ve ever had to hold on to an umbrella more tightly because you can feel it being pulled away from you, even though the wind is not behind you, then you’ve experienced the same effect that operates on the sailing boats sails. 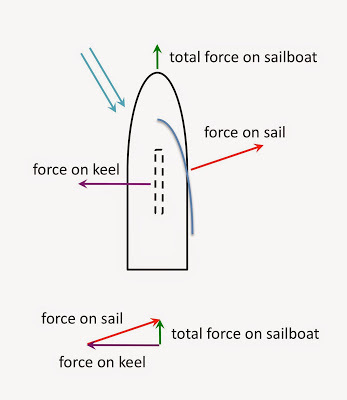 Even higher speeds can be achieved if the drag forces are reduced, for example by taking the yacht out of the water and putting it on skis. It’s said that some ice-yachts skimming across frozen lakes with minimal drag have travelled up to 8 times faster than the prevailing wind.